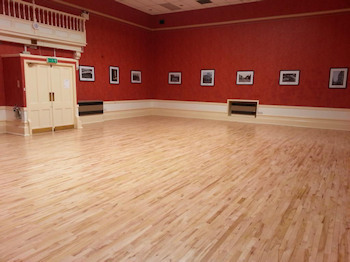 - is spacious with wooden sprung floor which makes it ideal for dancing, keep fit or similar activities. There is a stage, with stage lighting and a wireless PA system, which means any performers/acts can set up on stage, without actually taking up valuable main floor space. - which is adjacent to the main hall is classy. 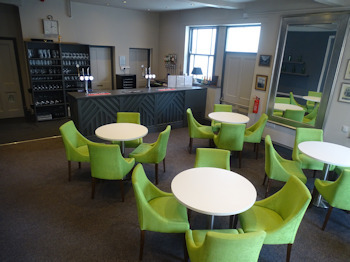 The bar is fully licensed and is well-stocked to support any event. The Café Area could in itself be re-arranged to accommodate up to 75 people by using a close seating plan. - which is adjacent to the Theatre Bar/Café Area has been newly refurbished, which as the following equipment: - gas cooker with 6 rings, fridge, automatic hot water dispenser for beverages and food preparations, professional dishwasher, water heater, sinks, cutlery, china, cake stands, hot plate display carvery flat bed, connoisseur hostess trolley and a serving hatch to main hall. 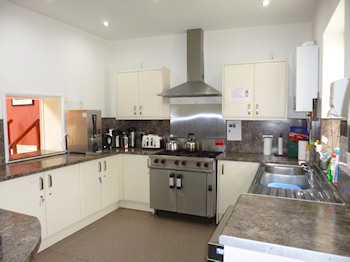 - have been refurbished and are all accessible on the ground via a door in the Main Hall. The disabled toilet has a baby changing facility for your convenience. - we are able to offer a high-quality wedding reception, dining/seating plan that could comfortably accommodate 100 guests plus top table/s. The main hall using the existing format above in conjunction with the Theatre Bar /Café Area could achieve a figure up to 200 guests. The maximum number the main hall can accommodate using only close seating plan is 225 guests. 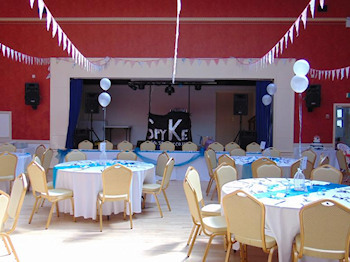 We also have alcohol and entertainments licenses and are able to host events until 2am.